If you do not know something, ask someone who does. The open source nature of the Taikyoku Budo framework allows us to draw information from various experts or journeymen from other martial arts. The information is then filtered through our core principles and integrated or pared away as appropriate, always looking to see what is useful and beneficial to our overall vision. 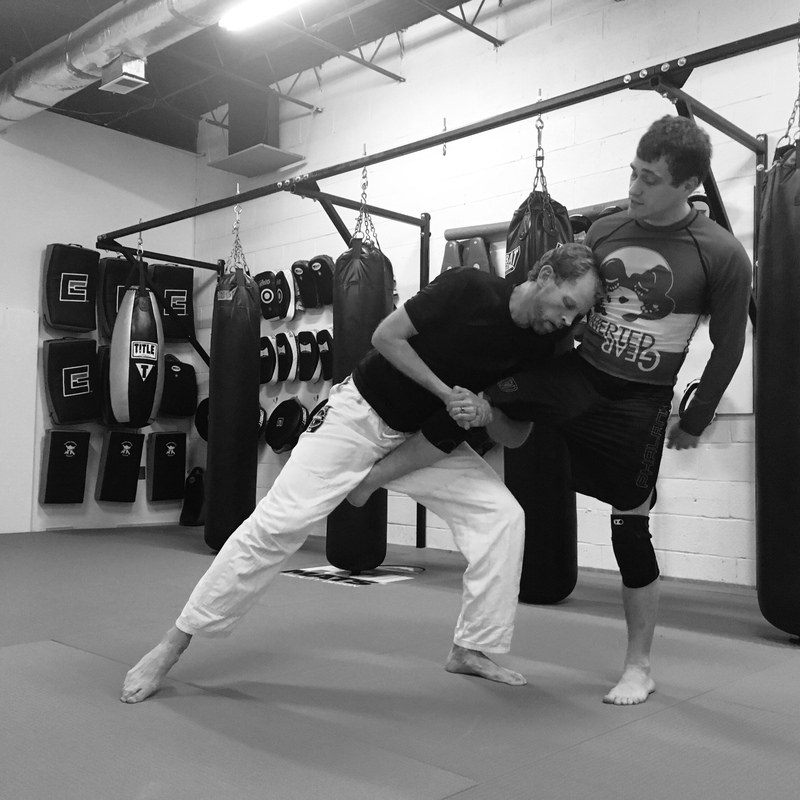 Here we see John, a Taikyoku Budo practitioner, learning a single leg takedown from Tim who is a lifelong wrestler and a Brazilian Jiu-Jitsu student at Kogen Dojo. Tim is a great teacher and his ground-up approach to wrestling principles is eye-opening and immediately applicable to both sport grappling and a more self-defense based approach to training. A single-leg takedown is such a fundamental grappling move that several variations of it can be seen in Japan’s oldest grappling style, sumo wrestling, most obviously in the ashitori (leg take) technique. By looking into the past, at ancient arts like sumo, and comparing what is found with what is working in modern, competitive practices like wrestling or BJJ, we are able to keep one foot firmly rooted in tradition and the other moving forward in innovation.